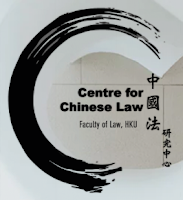 We are pleased to announce that the 11th East Asian Conference on Philosophy of Law will be held in Hong Kong on December 13-14, 2018, under the auspices of the University of Hong Kong’s Faculty of Law and its Centre for Chinese Law. The event is also part of the celebration of the 50th anniversary of the Faculty of Law of the University of Hong Kong. The overarching theme of the conference is “Justice, Dignity and the Rule of Law”. The East Asian Conference on Philosophy of Law has been held once every two years since 1996. The China University of Political Science and Law in Beijing hosted the 10th conference in 2016, and Hankuk University of Foreign Studies in Seoul hosted the 9th conference in 2014. The conferences provide a forum for dialogue among East Asian scholars of legal philosophy and other scholars interested in Asian legal philosophy. 1. The closing date for submission of proposals is 30 June 2018. 2. The conference will be mainly in English and Chinese. Proposals to present papers at the Conference and panel proposals (mentioned below) should be written in English or Chinese. Oral presentations at the Conference should be in English or Chinese, except that (1) in panels formed (according to the procedure mentioned below) by Japanese or Korean scholars, the oral presentations may be in English, Japanese or Korean (scholars speaking in Japanese or Korean are strongly encouraged to provide a written English translation of their presentations); (2) interpretation will be provided for specially invited speakers at the plenary sessions who speak in Japanese or Korean (who will provide a written English translation of their speeches). 3. The proposed papers may relate to any aspect of philosophy of law or related fields, and need not be limited to the general theme of the conference (“Justice, Dignity and the Rule of Law”). 4. Every participant at the Conference (including paper presenters, and chairmen and discussants at the panels mentioned below who are not presenting papers themselves) should submit the ‘individual proposal form’. Paper presenters will make an oral presentation at the conference (approximately 15 minutes). Submission of full papers is welcomed but not required. 5. Proposals to form a panel at a parallel session are welcomed. Panel organisers should submit a ‘panel proposal form’. Panel members presenting papers at the panel should also submit ‘individual proposal forms’. The ‘panel proposal form’ should include the panel topic, the name of the chair and/or discussant, the names of the presenters of papers, and the title of each paper. The chair and discussant may also serve as a paper presenter. The same person may serve as both chair and discussant. 6. The conference registration fee is waived; however, participants who would like to join the conference dinner will be required to make a payment in advance. Conference participants are responsible for their own travel and accommodation expenses. A list of recommended hotels will be provided on the conference website. 7. Inquiries may be emailed to: shelbyc@hku.hk. The Conference will be an excellent opportunity for you to meet East Asian scholars of the philosophy of law to discuss topics of common interest. We hope you will be able to join us in Hong Kong! To access the Conference website, click here.